The West Somerset Railway is the longest heritage railway in England and is a trip well worth doing if you're visiting the Minehead area. 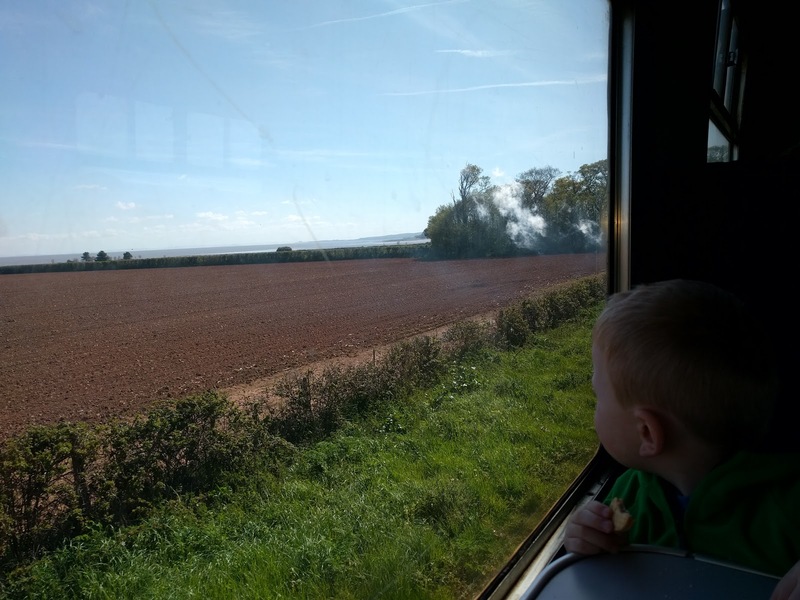 We spent 5 days at Butlins in Minehead and couldn't wait to take a day trip on the steam trains. We originally visited back in 2014 and have fond memories of Elliot's first railway trip however as he was only a little toddler, he can't remember it atall! 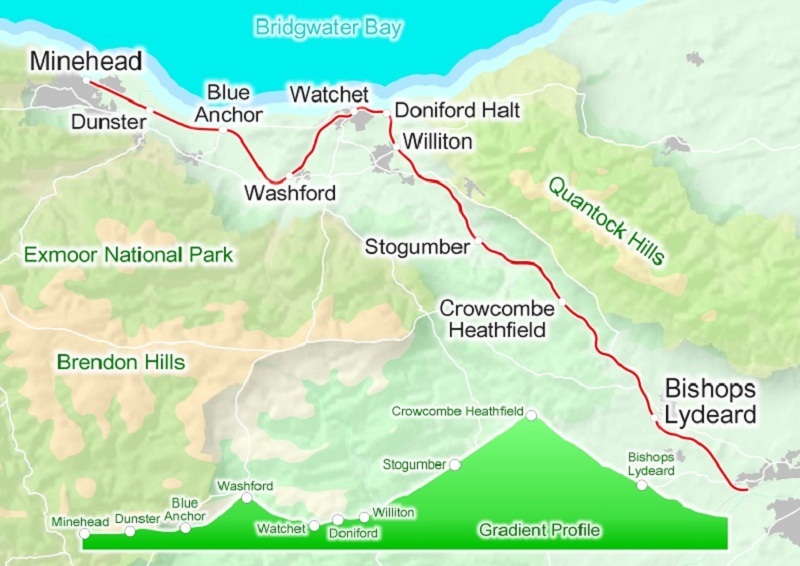 The trains depart from Minehead and travel 22 miles along the coastline and through beautiful countryside to a small village called Bishops Lydeard. 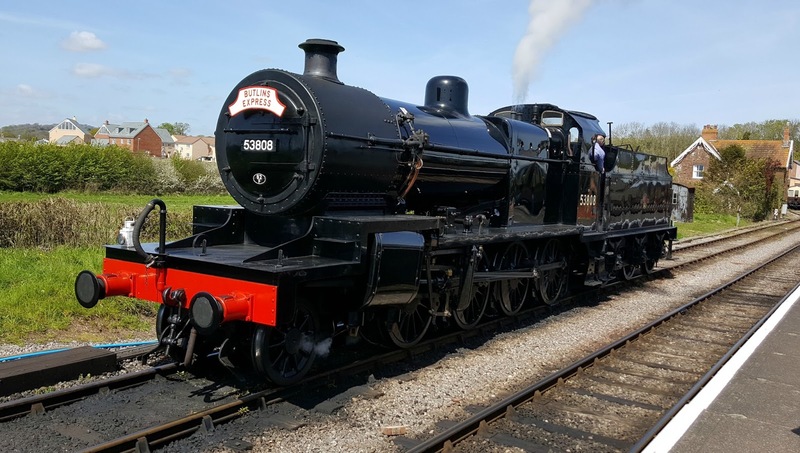 The WSR offer a variety of tickets so you can either travel all the way to Bishops Lydeard, or hop on and off at the many stations along the way. It was a lovely sunny day when we decided to go on the train and we were at the station bright and early for the first departure of the morning. We did have a small panic however as we spotted one of the redcoats and a massive crowd of holidaymakers making their way to the train station on an organised trip. We thought the trains might be packed out, we needn't have worried though as there were plenty of spare seats and the Butlins gang were herded up to other end of the train! Elliot was really excited when we got on the train and couldn't wait to bag himself a window seat so he wouldn't miss any of the action! He had great fun waving at everyone on the platform. 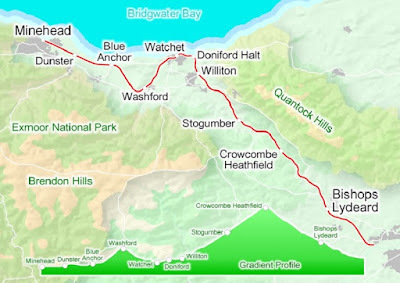 We decided to stay on the train the whole way to Bishops Lydeard and it took around 75 minutes. The time flew by though and by the time we'd had a quick visit to the on board buffet car for a drink it was time to disembark. Bishops Lydeard station has a museum, shop and a cafe and the village is only a short walk away if you wanted to explore. It's also really interesting to watch the trains being fed and watered ready for their next trip! 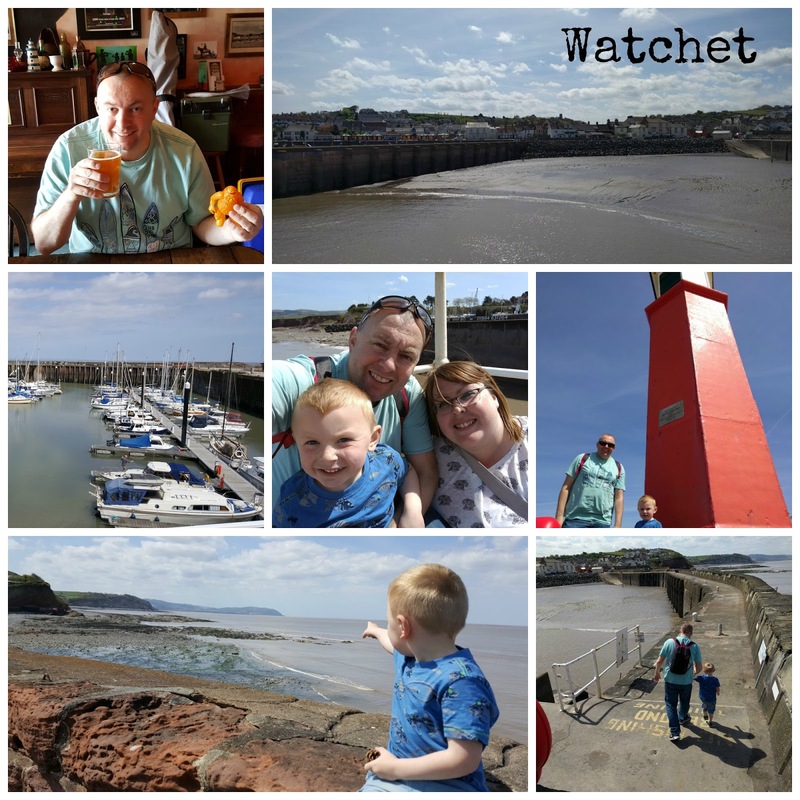 After a quick stop at Bishops Lydeard, we hopped back on the next train and traveled to Watchet, a small coastal town situated 9 miles from Minehead. It was lunchtime so we decided to stop for a bit of lunch and enjoy the sunshine! It was market day in Watchet so it was nice to have a wander around the stalls - and of course we got tempted by the chocolate stall!! We found a great pub, Pebbles Tavern which had a large selection of ciders and ales and they even gave Elliot a free soft drink which was a nice touch. There's nothing like an ice cool cider on a warm sunny day! As the weather was so nice we decided to get fish & chips and take them down to the harbour. From here you can take a stroll along the harbour walls and see the lighthouse. 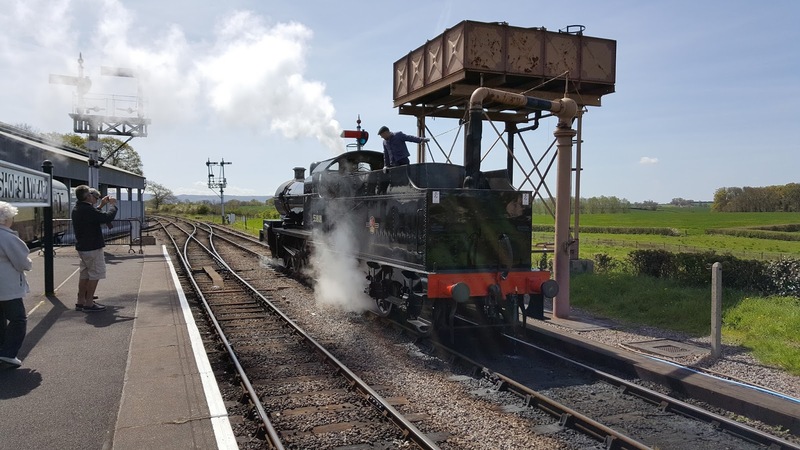 Our train back to Minehead was slightly late arriving into Watchet but the staff kept us informed and were very friendly to speak to. They are all volunteers and you get a real understanding of their passion for the railway if they stop for a chat. 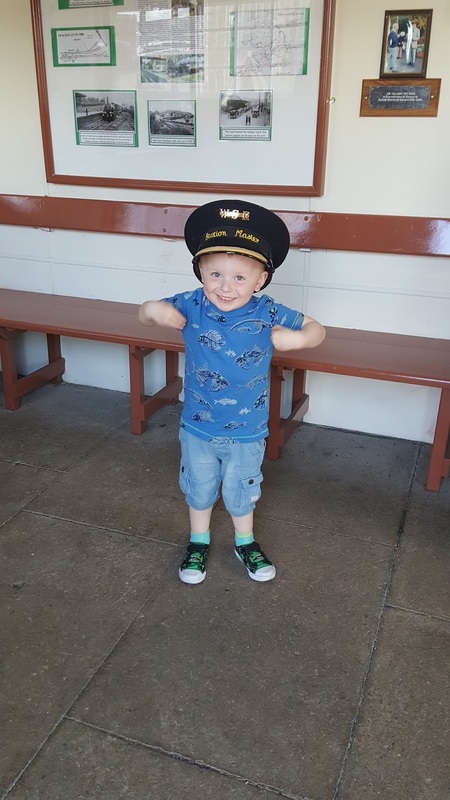 Elliot was even allowed to try on the ticket inspector's hat! 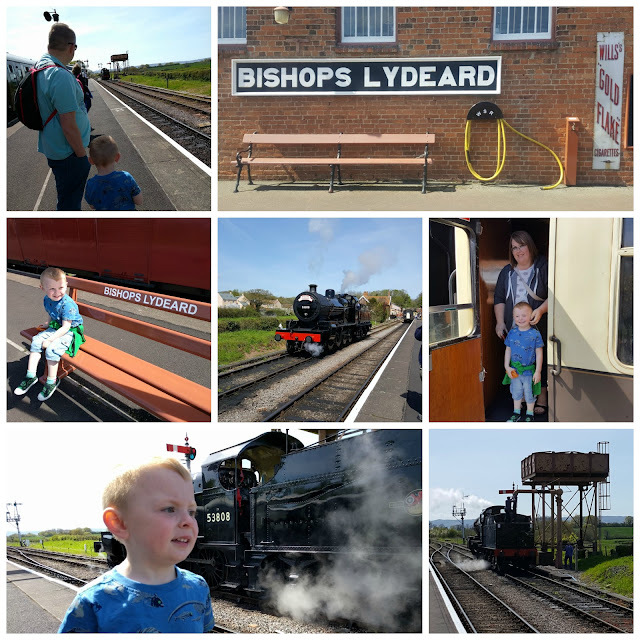 We had a lovely day out on the steam trains and it's something I'd definitely recommend if you're visiting the area. And especially if you have a train mad child!! The WSR also run lots of special family events throughout the year so it's worth keeping an eye out on the website for details of these. 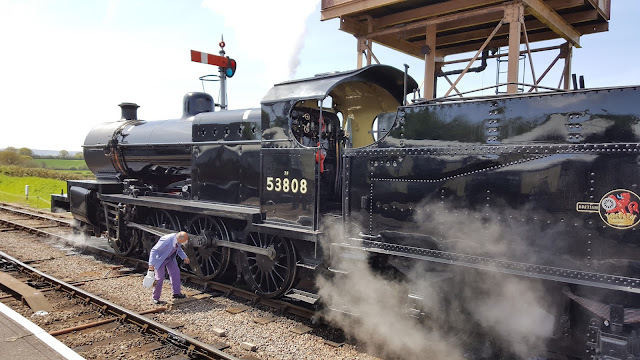 The photos of the trains being fed and watered look very interesting, and really like something from Thomas the tank engine! 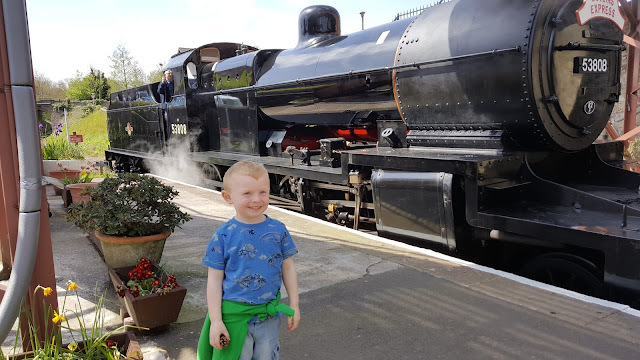 Elliot looks so happy - he must be train mad, and if he wasn't before he surely must be after such a great train experience. Ahhh looks like an amazing day. My little nephew would love this - he's thomas and train MAD! This looks like so much fun! We took a ride on Thomas the train once & the kids loved it! A steam engine would be very exciting. Thanks so much for linking up with #BloggerClubUK - sorry for the comment delay, I had no electricity & hence no wifi yesterday.